What do I need to bring with me when I collect my hire vehicle? We now require your UK driving licence, licence check code and 2 separate proofs of address. These can be a bank statement, utility bill or something official with your name and address on it dated in the last three months. You will also need to bring a credit or debit card for your payment (we do not accept AMEX). Can I take your vehicle abroad? Yes you can but please call us first, we will need to know where you are going and for how long. Additional charges will apply. Please Contact Us and we will discuss your requirements with you. In the unlikely event of a breakdown, all our vehicles are covered by our breakdown policy. With your rental pack, you will be provided with our 24-hour emergency telephone number to call in case of breakdown or emergency. All efforts will be made to get you back on the road as soon as possible. I will be travelling to London, how do I pay the Congestion Charge? Online: pay by credit or debit card via the website at www.cclondon.com. Always check your vehicle registration details are entered correctly. Telephone: pay by credit or debit card via the TFL Call Centre on 0845 900 1234 which is open from 6am till midnight Sunday to Friday and from 6am till 10pm on Saturday. Always check your vehicle registration details are entered correctly. Mobile phone text message: You can pay the charge on your day of travel by sending a simple text message from your mobile phone (you need to pre register for the SMS service), with your credit or debit card details. Please visit the website at www.cclondon.com or contact TFL on 0845 900 1234 for further details. Retail outlets: pay in cash at newsagents, convenience stores and petrol stations where you see the congestion charging sign or the PayPoint logo (some retailers may also accept payment by cheque and credit or debit card at their discretion). Always check your vehicle registration details are entered correctly. Self-service machines: pay by credit or debit card at self-service machines in major public car parks within charging zone and other selected locations. Always check your vehicle registration details are entered correctly. How old do I need to be to hire a vehicle from Redhill car & van hire? All drivers must be 23 – 75 years old and they must have held a full UK Licence for a minimum of 2 years. If you have any queries about your eligibility then please Contact Us. I have points on my licence - is that a problem? Generally, this isn't a problem but please Contact Us first. You can pay with most major credit or debit cards. We do not accept American Express. Our prices include VAT, comprehensive insurance and UK breakdown cover. Yes they can, but we will need a "licence check code" for anyone who will be driving and additional charges will apply - please Contact Us for details. Please return the vehicle with the same amount of fuel as when you collected it. Do not admit liability. If someone has been injured or if an offence has been committed call the police and ambulance service. I will be using the Dartford Crossing, How Do I Pay? You cannot pay in cash at the barriers if you are using the Dartford Crossing any more. The crossing charge depends on your vehicle and account type. Charges apply between 6am and 10pm every day, including Christmas and other bank holidays. You must pay by midnight the day after you cross. The payment service is called Dart Charge. Click here to arrange your payment. Do You Do Half Day Rentals? YES - we offer a half day hire rate on all our vans (subject to availability). Prices start at just £30. Call us on 01737 646171 to check availability. 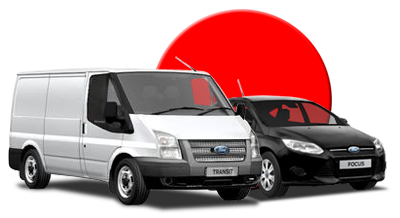 Click here for all our Van Hire prices.